Churning out 3.5 million pints of the Black Magic each day, the Guinness Storehouse is deservedly one of the most popular attractions in Dublin and indeed all of Ireland (over 1 million visitors passed through the doors in 2013). Still standing on the site where Arthur Guinness himself, father of 21 children, took out a 9000 year lease in 1759, the settlement has grown to include its own power plant and water treatment facility in addition to the brewery and visitor center. The fascinating tour walks you through the brewing process, starting with the simple four ingredients of barley, hops, yeast, and water that make up the iconic stout beer. Guinness uses all Irish barley—10% of which is roasted in order to give Guinness its signature dark color and flavor (the other barley used is either raw or milled). As hops can not really be grown in Ireland, it comes from warmer climates such as Australia and the Pacific Northwest. Water is sourced straight from the Wicklow mountains (not the brown colored Liffey as many a tall tale would tell), while in order to keep Guinness smooth and not overly bubbly, the yeast, the exact same strain used in the original stock, is added to the boiled mixture for only a brief fermentation process—hence a modest alcohol level of 4.2%. Finally, the Black Stuff is packed in the trademark Irish Harp can (the harp is the backwards version of the national symbol), wooden barrels, or aluminum kegs, and shipped to over 150 countries worldwide. 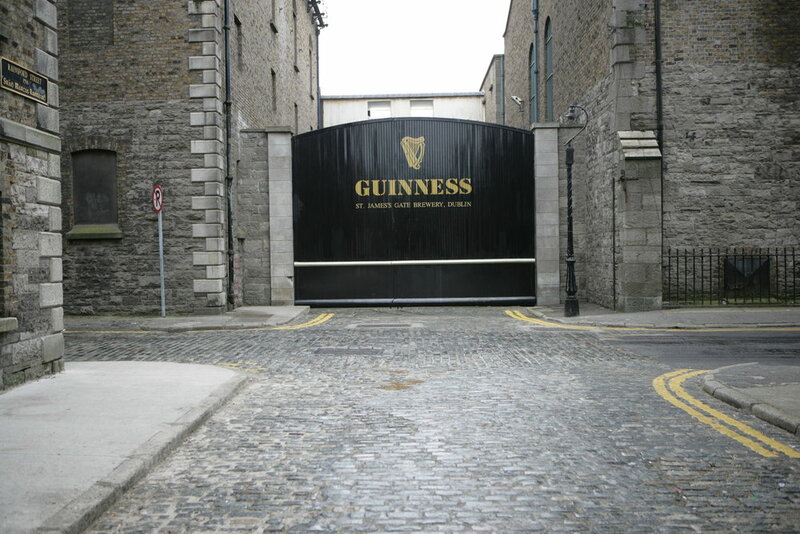 Surprisingly Africa and Asia are the two biggest export markets for Guinness, with the 7% alcohol, double hopped Extra Stout being one of the favorite varieties. Perhaps the best part of the tour is getting to sample a pint or two in the rooftop Gravity Bar. With 360 degree views across the whole of Dublin, you will appreciate that Guinness truly is an Irish drink and source of national pride—it just tastes better at the source.